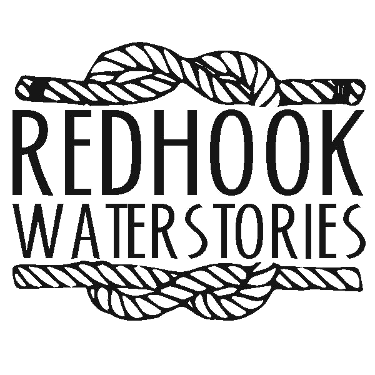 This map contains community group research (Gowanus Canal Conservancy / Public Lab) on finding stream restoration opportunities in the Gowanus Watershed. It uses hydrological surface flow modeling by Eymund Diegel. 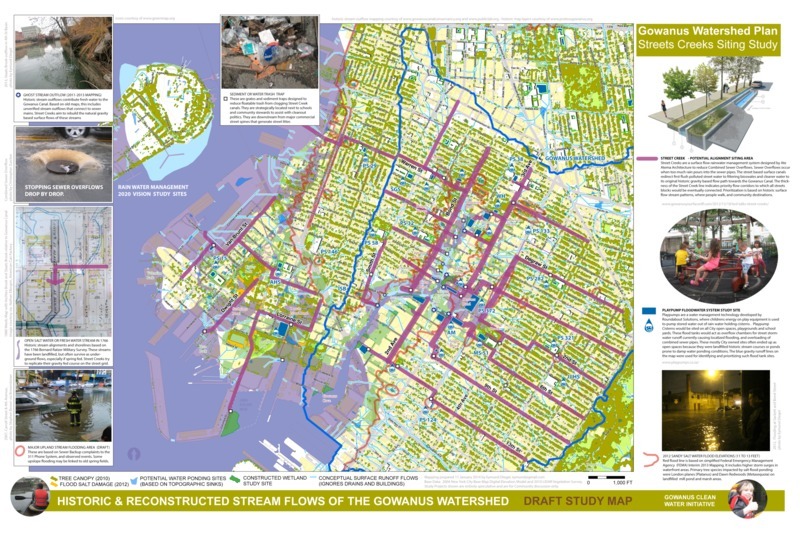 This map looks at alternative siting scenarios for rainwater holding tanks outside of the Gowanus Marsh flood zone as an alternative to the 2013 Superfund Plan Gowanus sewer tank proposal. The study looks at the feasibility of two more sustainable technologies: Ate Atema's Street Creeks, a surface runoff management system explained here: http://www.gowanusyourfaceoff.com/2012/12/18/ted-talks-street-creeks/ and Play Pump technology combined with strategically located large scale flood control rain tanks located in City Open Spaces: http://www.playpumps.co.za/. Children playing on merry go rounds would pump the collected flood water back out to a Street Creek and Green Infrastructure Rain Garden network after the storm has passed.